Next stop: Nashville. The city of Country Music and BBQ was alive to welcome me when I arrived in the early afternoon. I tried to stop at the famous Cafe Loveless for lunch, but they had over an hour wait! 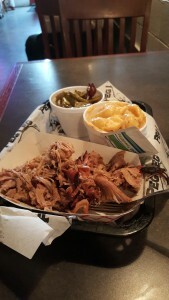 I ended up getting my BBQ fix at Peg Leg Porker. Pulled pork, smoked green beans and bacon mac & cheese. Just what the doctor ordered. I toured around downtown and Broadway street for a few hours, hopping in and out of bars to catch some music. It was early afternoon on a week day and the parties had already started! Every bar shad a live country singer or band. The artists were talented and obviously trying to make it among the huge competition in Nashville. On the road again and I was headed to Atlanta, GA to stay with my cousin Lindsay for the night. She was doing her post-doc at Emory University and I was excited to see her and catch up on family gossip. 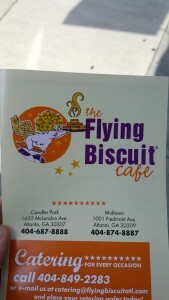 The highlight of the stay was definitely brunch at The Flying Biscuit Cafe. We shared oatmeal pancakes with warm peach jam, incredibly cheesy grits, eggs, sausage and biscuits, and left feeling like we had eaten a meal enough for 4! 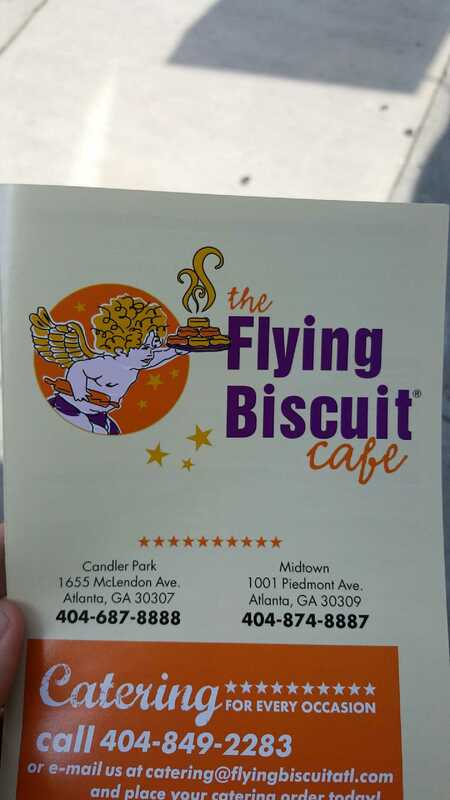 Definitely recommend anyone in Atlanta check out that spot, but be prepared to wait for a table on a busy morning! Lindsay and I did some grocery shopping at Trader Joe’s and parted ways. I only had a 7 hour drive until my destination for the night: a dispersed camping area in the George Washington and Jefferson National Forest, at the Jennings Creek area. Once again, I was able to stay for free on Federal Land, leave no trace and leave in peace.